Amtrak offers a more comfortable and convenient travel experience with free Wi-Fi on most trains, plenty of leg room and no middle seat. With our state and commuter partners, we move people, the economy and the nation forward, carrying more than 30 million Amtrak customers for each of the past seven years. Amtrak operates more than 300 trains daily, connecting more than 500 destinations in 46 states, the District of Columbia and three Canadian Provinces, and reaches 400 additional destinations via connecting bus routes. It's time to see New York and save 15 percent with Amtrak. Take your next trip outside big city limits and see more of what New York has to offer. Jason Abrams, Communications Spokesperson was on the March 3, 2019 "Travel with Stephanie Abrams!" Radio Show in hour 1. News and updates on Rochester station renaming, New York State Fair special service and Schenectady $23M station refresh. 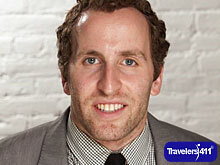 Jason Abrams was also on the March 2, 2019 "Travelers411" Radio Show in hour 1. Jason Abrams was also on the October 6, 2018 "Travelers411" Radio Show in hour 1. Jason Abrams was also on the April 1, 2018 "Travel with Stephanie Abrams!" Radio Show in hour 3. Jason Abrams was also on the March 31, 2018 "Travelers411" Radio Show in hour 3. Deb Sanderson, Amtrak Marketing Manager for New York State and Vermont was on the April 15, 2017 "Travelers411" Radio Show in hour 2. 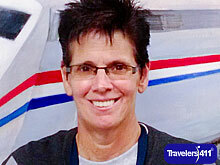 My name is Debbie Sanderson and I am the Sales and Marketing Manager for Amtrak. My territory includes Upstate New York and Vermont. I have worked for Amtrak since 1990 and within the Marketing Department since 2010. Avoid the stresses of flying and relax in comfortable seating with Amtrak. Enjoy picture postcard scenery in all seasons out large windows aboard Amtrak trains. Join Deb Sanderson, Marketing Manager for NY State and Vermont for Amtrak to learn about the See NY and Save 15% campaign as well as the May 18, 2017 NY by Rail Day at Penn Station. Deb Sanderson was also on the August 27, 2016 "Travelers411" Radio Show in hour 1. Join Amtrak Marketing Manager for New York State and Vermont Deb Sanderson for news and updates including Amtrak's new CEO, Amtrak's Dome Car during fall foliage season on the Adirondack line and the announcement that pets can now travel on Amtrak trains.